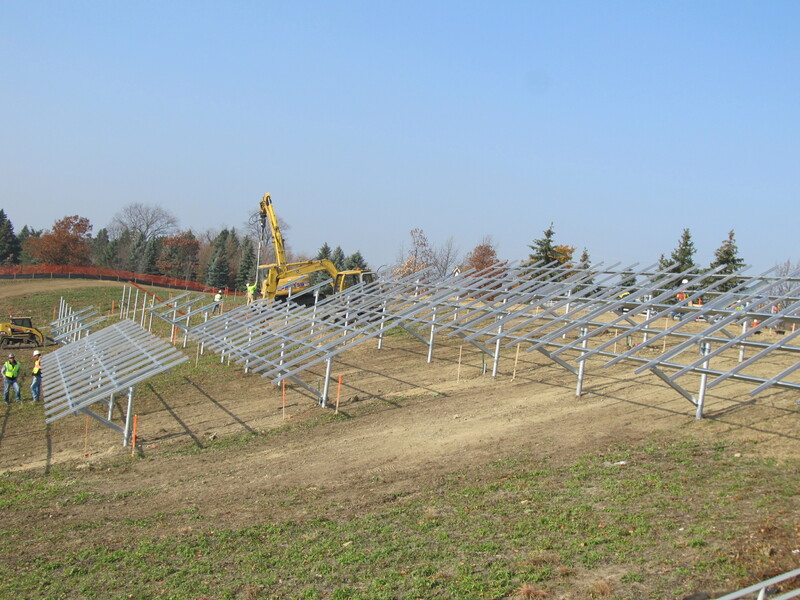 Nova Consultant’s , Inc. A Michigan based engineering, environmental and energy service consulting firm specializing in civil, structural, and photovoltaic engineering was awarded the contract to construct a solar ground mount system on a challenging hillside of 2.45 acres. J Ranck Electric was selected as the certified installer of the helical piles solar ground mount system supplied by Empire Piers. 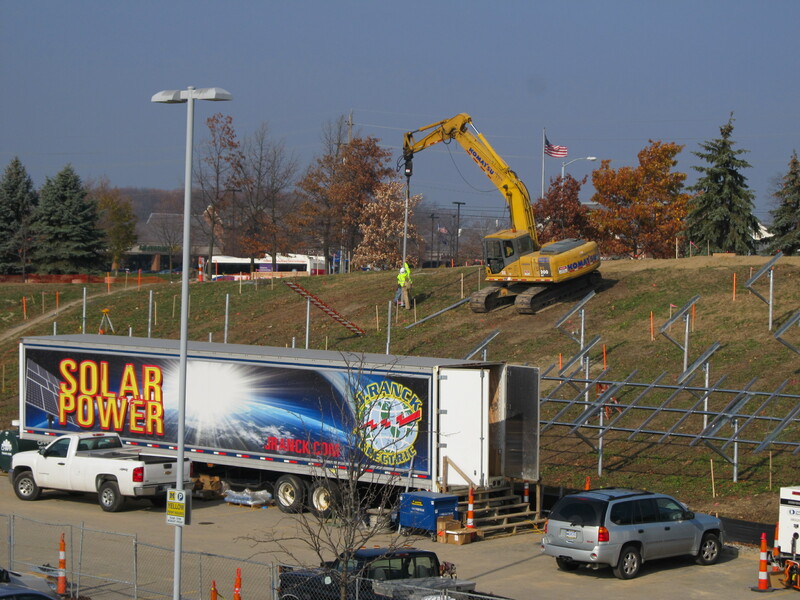 The location of the project was on the north side of campus with a large incline that made the install and pile survey a challenge. The empire EP450 model 4.50 x .290 x 16’ piles were used for the ground mount with a distance of 10’ between piles. A depth of 12’ was obtained through out to support the uplift and lateral load concerns and a 4’ section exposed above ground for panel installation. There were 250 total piles used on the project to support the 1,794 solar modules. The University was thrilled with the overall project as everything ran smoothly and on time. The panels are expected to produce approximately 240 kilowatts of solar power each week. Empire can custom manufacture to your ground mount solar needs lengths, diameters, and configurations.